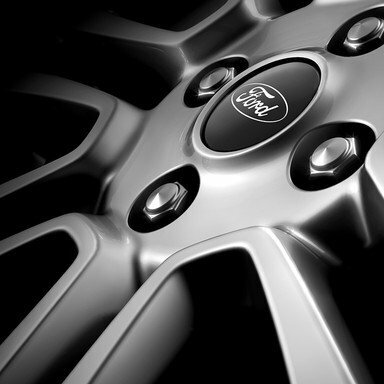 The wholesale parts trade is a pillar of Ford’s business. 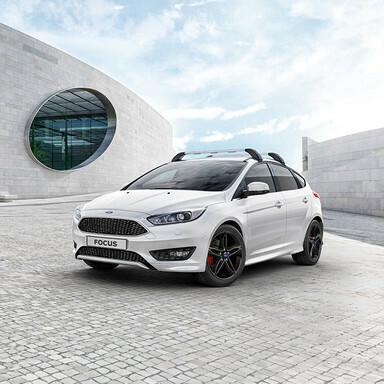 Thus, it is all the more important for Ford that dealers are supplied with all levels of product and marketing information in optimum fashion. Only in this way can the material achieve as many of Ford’s customers, Ford service dealers and independent garages as possible. 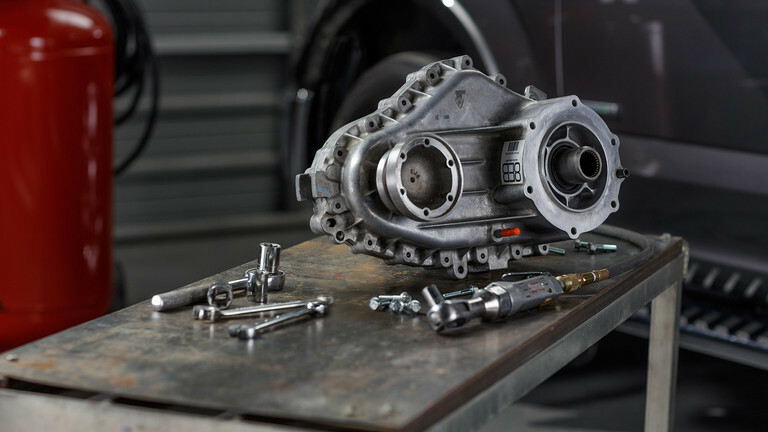 Our task was to create the right preconditions for this through an online portal featuring the entire range of dealer communication material for spare parts – in 22 European markets and 24 languages. We developed the European Parts Portal, which now boasts over 1,600 registered spare parts dealers. 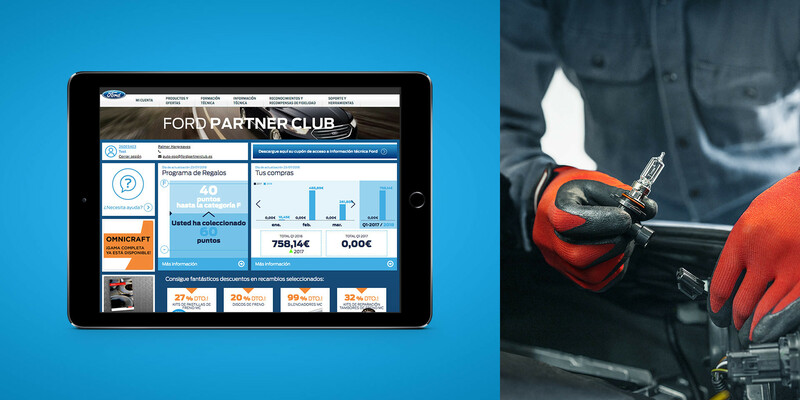 More than 52,330 member garages also receive additional technical support via the portal. One element is the Parts Promotion Toolbox, which we not only designed and programmed but also service. Dealers use this tool to send out more than a million customised promotional emails a year to 144,000 independent garages. 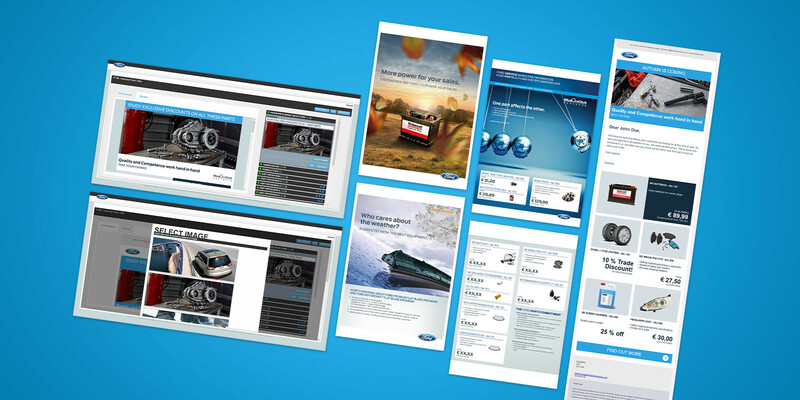 And what offers, new content and functions has Ford got for its dealers? They are informed through a newsletter we handle at every stage from text production and layout to mailing. Cologne, 21.4.17: Two steps forward: Palmer Hargreaves has moved further up the current billings’ table of the PR trade journal. The agency increased its billings’ volume by nearly 20% in the past fiscal year – four times the industry average. Palmer Hargreaves has again moved up the Pfeffers PR billings’ table – from 18th to 16th spot. With a billings’ volume of €9.03 in the past fiscal year the agency grew by 19.4% in a year-on-dear comparison (fiscal 2014-15: €7.56 million). According to the PR trade journal’s figures the average figure for the industry was 4.9%. Palmer Hargreaves had already moved up one place in the previous year’s table. Palmer Hargreaves is now in second place in the Cologne-Bonn region. Ranked according to their keynote industries the Cologne agency is first in chemicals and third in automotive, unchanged from the previous year, but moved up from ninth to fourth in telecommunications. Caption: Jörn Langensiepen is CEO of the Palmer Hargreaves Group and one of three managing directors of the German branch in Cologne. Palmer Hargreaves – complex solved. Palmer Hargreaves is an owner-managed agency group for marketing and communications. Some 180 employees work at four locations in Germany, England, Russia and China. We combine a broad spectrum of services – strategy, creative, content and digital – with in-depth industry expertise. Whether it’s marketing communications, PR or marketing technology, well-known brands such as ABB, Bayer, Deutsche Telekom, Ford, Fraunhofer Institute, Henkel, Jaguar, Land Rover and Schindler have trusted us for years. Because we are the agency for the knowledge-based economy. Cologne, 7.4.17: Change on the board of the international agency group – since 1 March Jörn Langensiepen has been CEO of the Palmer Hargreaves Group with its branches in England, Germany, Russia and China. Jörn Langensiepen is the new CEO of the Palmer Hargreaves Group and has taken over from Randy Weeks, who has retired from the everyday business for age reasons but will continue to play an advisory role. Under Jörn Langensiepen’s management the German branch of the international agency group has grown at an above-average rate, which is why Palmer Hargreaves is moving its CEO base from England to Cologne. Besides his new role, Jörn Langensiepen continues to act as one of three managing directors in Cologne. The prime objective, says 46-year-old Jörn, is “to further strengthen the agency’s international clout and emphasise this asset more in the context of our clients’ increasingly global business”. 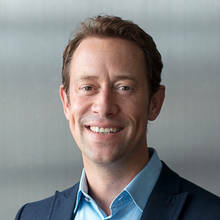 Before joining Palmer Hargreaves in 2000, Jörn graduated as an industrial engineer and then worked for the business consultants PriceWaterhouseCoopers as a client services director. He became managing director of Palmer Hargreaves’ Cologne branch in 2004 and a managing partner in 2009. In 2013 the Cologne branch of Palmer Hargreaves merged with the PR agency PR-Partner. Caption: Jörn Langensiepen is the new CEO of the Palmer Hargreaves Group. Cologne, 29.3.17: Palmer Hargreaves, the international agency for marketing and communications, has again moved up the W&V agency rankings – from 29th to 25th position. Palmer Hargreaves increased its billings’ income by nearly 20% whereas the average figure for the top 50 agencies was just 6.6%. For the second time running, Palmer Hargreaves has leapt up the W&V table of the top 50 owner-managed agencies in Germany. Last year, the agency moved up five places. The table lists the agencies by billings’ volume, which rose at Palmer Hargreaves in a year-on-year basis by 19.4% from €7.56 million in fiscal 2014-15 to €9.03 million in the past financial year. The average figure for the top 50 agencies was 6.6%. Palmer Hargreaves employs 102 people, an increase of 27.5% compared to an 11% rise the previous year. The reasons for the ongoing growth are the expansion of business with long-term clients such as Bayer and Deutsche Telekom and new business, with the Cologne-based agency gaining ABB, Brenntag, Henkel, Schindler and thyssenkrupp as new clients, for example. In all, the share of consulting work and digital business in the overall turnover grew at an above-average rate. Caption: Iris Heilmann is one of three managing directors at the Cologne branch of Palmer Hargreaves. 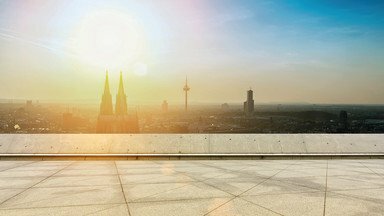 Cologne, 15.2.17: Brenntag, the global market leader in the distribution of chemicals, has launched a B2B campaign entitled “ConnectingChemistry”. Palmer Hargreaves has been responsible for the concept behind and the implementation of the campaign, and is supporting the launch with an internal campaign. Early February saw the launch of the Brenntag Group’s B2B campaign “ConnectingChemistry”. It is the first concrete outcome of the collaboration with Palmer Hargreaves. In summer 2016, the global market leader in the distribution of chemicals with over 14,000 employees in 74 countries, decided on the Cologne-based agency to develop a campaign idea based on the brand claim “ConnectingChemistry” in use since 2015. “ConnectingChemistry” gets to the heart of Brenntag’s core competence. Building on this, the core message of the campaign, “I’m ConnectingChemistry”, focuses on Brenntag employees and demonstrates just how much commitment they show each day as the critical interface between customers and suppliers. The individual stories are told in videos, interviews and statements, on the corporate website, Facebook, Twitter and YouTube, and in advertisements in selected trade journals. Employees from different business areas and work environments (purchasing, global sourcing, etc.) are portrayed in order to demonstrate Brenntag’s extensive range of services. Before the campaign’s external launch, Palmer Hargreaves had already supported an internal “ConnectingChemistry” campaign. “With Brenntag we have added to our clientele a global market leader that is a perfect strategic fit for us. We can apply our broad competency and in-depth industrial know-how for this company,” says Iris Heilmann, one of the three Palmer Hargreaves managing directors in Cologne. Besides Brenntag, the agency works for Bayer, Deutsche Telekom, Ford, Henkel and Schindler in four industry segments. Cologne, 6.7.16: Palmer Hargreaves, the international agency for marketing and communications, has developed the communication campaign with which Deutsche Telekom is supporting the launch of its new interactive intranet “you and me”. “Simply do it!” – with this claim (in German) Palmer Hargreaves has created the basis for a 360° campaign to launch the interactive intranet “you and me”. The campaign aims to motivate the various target groups within the Telekom Group to test and become active users of the new platform. The campaign appeals to all employees through various online and offline channels. For “you and me” Deutsche Telekom is merging its previously static intranet with its internal social network to create a social collaboration platform managed by Corporate Communications. In contrast to a static intranet, the new platform allows all employees to be networked and conduct dialogues at eye level – irrespective of hierarchies, departmental boundaries or national frontiers. The employees not only stay in virtual contact but can together work in groups and share information and experience. This creates a new form of inter-employee communication that is more direct, authentic and fast. The idea of digital networking and stronger engagement is reflected in Palmer Hargreaves’ campaign concept. The agency visualised key application scenarios, such sharing knowledge or implementing projects, in the form of humorous and exaggeratedly ironic personal scenes and realised the concept on posters, info cards, flyers and presentations. Palmer Hargreaves also designed a mobile info booth as well as branded give-aways and info material to directly appeal to the employees in the various national and international branches. To enable Telekom’s international subsidiaries to adapt the campaign, Palmer Hargreaves designed a country tool kit with corresponding guidelines and is also supporting the campaign with blog articles, interviews, mailshots and best practice studies as well as a supplement in the employee magazine “you and me”. Cologne, 30.6.16: Schindler Deutschland has been added to the client portfolio of the international communications agency Palmer Hargreaves (PH). After a very successful start to the current fiscal year, this new account has again boosted the agency’s billings’ forecast. The Swiss company, which was founded in 1874, moves more than a billion people with its lifts, escalators and moving walkways. In Germany Schindler is the market leader with 3,200 employees at 60 sites and a turnover of around €600 million (2015). Through the Schindler account PH has extended its client portfolio in the manufacturing sector. The agency currently has four industry teams for manufacturing industry, ICT, life science and automotive, each including client, PR and social media consultants who nimbly work with creative, content, strategy, digital and technology experts. Last year PH won clients from the manufacturing industry and life science sectors: various communication projects for thyssenkrupp AG and some of its business areas; and two B2B product launch campaigns for Henkel. Internationally, the PH Group continues to grow, with the automotive manufacturer Volvo soon to be supported in after-sales communications by PH’s Moscow and Shanghai offices. Cologne, 19.4.16: Palmer Hargreaves, the international agency for marketing and communications, has again moved up the W&V and PR Journal rankings. The agency has grown faster than the industry average, which is confirmation of a strategy geared to growth, integration and a broader portfolio. Palmer Hargreaves is up five places in the current W&V billings table from 34th to 29th position. This table lists Germany’s top 50 owner-managed agencies in the communications industry according to their billings’ volume, which in Palmer Hargreaves’ case rose by 8.4% in a year-on-year comparison. In the same period the number of employees went up by 11%. The average increase in billings of all the listed agencies was 6.2%. In the Pfeffers PR billings table Palmer Hargreaves went up one place and currently occupies 18th position with billings of €7.56 m and 88 employees in fiscal 2014-15. Ranked according to their keynote industries the Cologne agency had top spot in chemicals, third in automotive and ninth in telecommunications. For the coming year the agency is expecting to move up further in the rankings. 102 people are now employed at the Cologne site. Growth will come, on the one hand, from an expansion of the work currently undertaken for clients such as Deutsche Telekom, Ford and Bayer CropScience, and on the other hand, from new business. 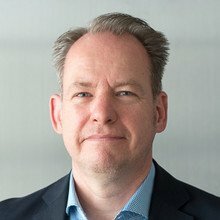 Cologne, 7.4.16: Palmer Hargreaves, the international agency for marketing and communications, has again added to its editorial team at its Cologne branch by hiring Sebastian Mainzer, a recognised automotive and IT expert. 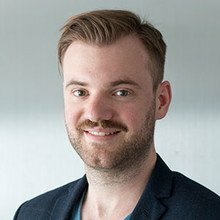 As a PR editor, Sebastian Mainzer will be turning complicated technical input into attractive and easily understandable content for clients like Deutsche Telekom or Ford – and thus strengthening one of the agency’s core competencies. The focal points of his work at Palmer Hargreaves will be telecommunications and automotive. A graduate technical journalist, Sebastian first proved his expertise at Oliver Schrott Kommunikation, where he was responsible for the content of international media events for their client Daimler AG. All PR content for speeches, presentations, films and exhibits went across his desk for projects such as driving demonstrations, product premieres or tech days. Before that, he worked for LEWIS Communications as a PR consultant for IT companies and as a radio and print journalist, e.g. for WDR. In the 20-strong editorial team Sebastian will play a decisive role in driving content and PR projects for the agency’s clients. “To do this we need editors who are not only good journalists but also have in-depth know-how of our client’s industries,” says Manfred Engeser, Palmer Hargreaves’ editor-in-chief. Cologne, 12.11.15: Palmer Hargreaves, the international agency for marketing and communications, has won the 2015 German Agricultural Marketing Prize at Agritechnica in Hannover. The prize was awarded for the agency’s integrated communication campaign for Bayer CropScience Germany’s seed business. Every two years, the German Agricultural Marketing Award honours particularly creative and convincing advertising campaigns from the agricultural industry. Palmer Hargreaves received the award in the plant production category for its see(d)-worthy campaign, with which Bayer CropScience Germany launched its BayerSeeds brand in 2014. The jury praised the stringent, cross-media approach of the 360° campaign and the high recall effect of the claim in all channels. Besides coming up with the brand name and claim, the agency also developed a high-quality text-and-imagery approach through a typographical enactment of seeds via a specially designed and photographed alphabet. In executing the campaign, Palmer Hargreaves made use of the whole range of marketing instruments and produced not just an image trailer but also various brochures, online banners, advertisements, info sheets, newsletters, direct mailshots and content for the Bayer CropScience Germany website. The prize was presented at the biennial Agritechnica in Hannover, the world’s largest trade fair for agricultural machinery with nearly 3,000 exhibitors from over 50 countries. The publishing company Landwirtschaftsverlag Münster awarded these prizes for the 11th time in 2015, thus honouring the best campaigns in the four categories of agricultural machinery, plant production, animal husbandry and services. Cologne, 6.10.15: Palmer Hargreaves, the international agency for marketing and communications, is focusing on content marketing and has hired an experienced journalist to enhance its editorial competency: Manfred Engeser has joined the Cologne agency’s team of nearly 90 as the new editor-in-chief. Manfred Engeser, who comes from WirtschaftsWoche where he was a departmental head and author, takes on the newly created function of editor-in-chief where he will be responsible for building up and extending the internal editorial team and play a key role in the agency’s content marketing strategy as a member of the Palmer Hargreaves management team. After graduating in political science, 47-year-old Manfred Engeser attended the German School of Journalism in Munich, worked for Süddeutsche Zeitung, was the RTL correspondent in the Bonn studio (when Bonn was West Germany’s capital) and worked for the business section of Hamburger Abendblatt. After a two-month spell as a visiting editor for the Mexican newspaper La Reforma, in spring 2000 he moved to WirtschaftsWoche in Düsseldorf where he most recently worked as an author and headed the Management & Success department. With its latest recruit Palmer Hargreaves continues the consistent expansion of its integrated portfolio of marketing communication, corporate publishing and digital communication. The agency is meeting the future market challenges today – challenges that are increasingly necessitating the dovetailing of creative potential, content competency and technological know-how. Palmer Hargreaves is an owner-managed agency group for marketing and communications. Some 180 employees work at four locations in Germany, England, Russia and China. We combine a broad spectrum of services – strategy, creative, content and digital – with in-depth industry expertise. Whether it’s marketing communications, PR or marketing technology, well-known brands such as Audi, Bayer, Deutsche Telekom, Ford, Fraunhofer, Handelsblatt, Henkel, Jaguar, Land Rover, Miele, Porsche and Schindler have trusted us for years. Because we are the agency for the knowledge-based economy. Thank you for visiting our website! It is highly important to us to comply with the provisions under data protection law. This data protection statement is intended to inform you, as the user of our website, of the nature, scope and purpose of the processing of personal data and the rights you have, if you are a data subject as defined in article 4 no. 1, of the General Data Protection Regulation. The data protection statement below already includes the alterations under the General Data Protection Regulation (GDPR), which has applied since 25th May 2018. At the same time, this statement also meets the requirements of article 13 of the German Telemedia Act (Telemediengesetz), which applied until then. When developing this website, we have designed it with the intention of collecting as little data from you as possible. In principle, it is possible to visit our website without providing personal data. It is only necessary to process data if you decide to use certain services. When doing so, we always ensure that we only process your personal data in line with a legal basis or the consent you have given. We comply with the provisions of the General Data Protection Regulation (GDPR ) applicable since 25th March 2018 and the applicable national provisions, such as the German Federal Data Protection Act (Bundesdatenschutzgesetz), the German Telemedia Act (Telemediengesetz), or any other more specialised laws on data protection. The terms used in this data protection statement refer to the meaning below in line with the GDPR. “Personal data” means any information relating to an identified or identifiable natural person (hereinafter “data subject”); an identifiable natural person is one who can be identified, directly or indirectly, in particular by reference to an identifier such as a name, an identification number, location data, an online identifier or to one or more factors specific to the physical, physiological, genetic, mental, economic, cultural or social identity of that natural person. “Third party” means a natural or legal person, public authority, agency or body other than the data subject, controller, processor and persons who, under the direct authority of the controller or processor, are authorised to process personal data. Personal data that are necessary in order to constitute, execute or carry out our service offers are processed on the legal basis of article 6 (1) (b) of the GDPR. Processing of personal data that is necessary for the purposes of our pursued legitimate interests is carried out in line with article 6 (1) (f) of the GDPR. If your personal data are processed for the stated purpose with your consent, then this is based on article 6 (1) (a) of the GDPR. Where we use external service providers within the scope of commissioned processing, the processing is carried out on the legal basis of article 28 of the GDPR. We will process and use the collected personal data for the purposes listed here. We collect and process your personal data only if you provide us with them voluntarily and knowingly, for instance by contacting us or sending us an email. The personal data provided by you and their contents will exclusively stay with our affiliated companies and us. We will store and process your data only for the purposes stated in item 4 above. Any use for any purpose other than that stated requires your explicit consent. This also applies to the transfer and transmission of your data to third parties. The webserver temporarily records the connection data of the inquiring computer (IP address), the pages you visit on our website, the data and the duration of your visit, the identification data of the used browser and operating system type and the website you have visited before as well as the successful retrieval in log files. The technical administration of the website and anonymous statistical measures facilitate an evaluation of the accesses to the Palmer Hargreaves offers and an evaluation, the aim of which is to enhance data protection and data security in our company in order to ensure an optimum level of security for the personal data that we process. The data of the server log files will be stored separately from the personal data that you provide. Unless there are any potential obligations of retention provided by law, we will delete or render anonymous your IP address 28 days after you have left our website. Our website collects and stores information by using what are called browser cookies. They are small text files that are stored on your data carrier and that store specific settings and data about your browser for exchange with our system. In general, a cookie contains the name of the domain that sent the cookie data as well as information on the age of the cookie and an alphanumeric identifier. accelerate the speed of handling your enquiries. We cooperate with third party services, which support us in making the Internet offer and the website more interesting for you. Therefore, cookies of these partner companies (third-party providers) are also stored on your hard disk when you visit our website. These cookies are deleted automatically after the predetermined time. You will find a list of the cookies set by us here. If you do not wish cookies to be used, then you can set your browser to not accept any storage of cookies. Please keep in mind that in this case the use of our website might be restricted or not possible at all, as the case may be. If you wish to accept only our own cookies, but not the cookies of our service providers and partners, then you may select the “block third-party cookies” setting in your browser. We assume no responsibility for the use of third-party cookies. Our website uses contents and services of other suppliers. For example, these are videos provided by YouTube. In order to retrieve and to present these data in the user’s browser, it is absolutely vital to transmit the IP address. The provider (hereinafter “third-party”) is therefore aware of the user’s IP address. Even if we try to use only third-party providers who need the IP address only in order to provide content, we do not have any influence on whether the IP address is stored, as the case may be. In this case, this process serves, among others, statistical purposes. As soon as we become aware that the IP address is stored, we will point it out to you. The company Google is certified for the EU-US data protection framework “Privacy Shield“. This data protection framework shall guarantee compliance with the data protection level that is applicable in the EU. For integrating and presenting video content, our website uses plugins of the YouTube site, which is operated by Google. The video portal is operated by YouTube, LLC, 901 Cherry Ave., San Bruno, CA 94066, U.S.A.
Our website uses features of the web analysis service Google Analytics. The supplier of this web analysis service is Google Inc., 1600 Amphitheatre Parkway, Mountain View, CA 94043, U.S.A. Setting of Google Analytics cookies is based on article 6 (1) (f) of the GDPR. As the owner of this website, we have a legitimate interest in analysing the user behaviour in order to optimise our website, and advertising as well, as the case may be. We use Google Analytics in connection with the IP anonymization feature. It ensures that Google shortens your IP address within the member states of the European Union or in the other contracting states of the agreement on the European Economic Area before transmitting it to the U.S.A. There may be exceptions, where Google transfers the full IP address to a server in the U.S.A. and shortens it there. Google will use this information on our behalf in order to analyse your use of the website, to create reports about website activities and to render other services for us associated with the website use and Internet use. The IP address transmitted by Google Analytics will not be combined with other data of Google. Our website uses the “Demographics and Interests” function of Google Analytics. It may be used to create reports that contain information about age, gender and interests of the website visitors. These data have been obtained from interest-related advertising of Google and visitor data of third-parties. It is not possible to attribute the data to a specific person. You may deactivate this function at any time. You can do this by using the display settings in your Google account or by prohibiting the collection of your data through Google Analytics in general as described in the item “Objection against data collection”. Alternatively, you may prevent the collection through Google Analytics by setting a so-called “opt-out cookie“ by clicking here. If you delete the cookies in your browser, you must click this link again afterwards. Our website uses the online marketing tool DoubleClick by Google. The provider is Google LLC., 1600 Amphitheatre Parkway, Mountain View, CA 94043, U.S.A.
Cookie IDs provide additional assistance to DoubleClick to measure so-called conversions related to ad views. This is the case, for example, if you see a DoubleClick ad and make a purchase using the same web browser on the website of the advertiser later. According to Google, DoubleClick cookies do not store any personal data. Due to the used marketing tools, your browser automatically establishes a direct link to the Google server. We do not have any influence on the extent and use of data collected by this tool through Google. As far as we know at the moment, Google learns via DoubleClick, which areas of our website you have visited or which of our ads you have clicked. If you are logged in to your Google account, Google may attribute the visit to our website to your account. Even if you are not logged in, it cannot be excluded that the provider determines and stores your IP address. You may control, restrict and prevent that cookies are set with an up-to-date web browser. Then you have the option to object to the tracking process. Deactivating of cookies may lead to a limited functionality of our website. The company Google is certified for the EU-US data protection framework “Privacy Shield“. This data privacy framework shall guarantee compliance with the data protection level that is applicable in the EU. Our website uses Google AdWords. The provider is Google Inc., 1600 Amphitheatre Parkway, Mountain View, CA 94043, U.S.A.
AdWords is an online advertising program. When using the online advertising program, we use conversion tracking. After clicking on an ad placed by Google, a cookie is set for conversion tracking. Cookies are small text files that your web browser stores on your device. Google AdWords cookies lose their validity after 30 days and are not used to identify users. When having a look at the cookie Google and we can see that you have clicked on an ad and have been forwarded to our website. The storage of “conversion cookies“ is based on article 6 (1) (f) of the GDPR. As the website owner, we have a legitimate interest in analysing the user behaviour in order to optimise our website, and our advertising. Every Google AdWords customer receives a different cookie. The cookies cannot be traced via websites of AdWords customers. Conversion cookies are used to create conversion statistics for AdWords customers using conversion tracking. AdWords customers are informed how many users have clicked on their ad and have been forwarded to pages featuring a conversion tracking tag. However, AdWords customers do not receive any personal data to identify users. If you do not wish to participate in the tracking, then you can object to the use of it. The conversion cookie in the browser’s user settings must be deactivated. Then your activities will not be entered into the conversion tracking statistics. You may control, restrict or prevent that cookies are set with an up-to-date web browser at https://support.google.com/chrome/answer/95647?co=GENIE.Platform%3DDesktop&hl=en. Deactivating of cookies may lead to a limited functionality of our website. We use social buttons in the form of a static link to the social media presentations of Palmer Hargreaves on the relevant platforms. They are not directly integrated in the do not constitute direct involvement of the relevant providers. Unfortunately, transferring information via the Internet is never 100 % secure, and that is why we cannot guarantee the security of the data transmitted via the Internet to our website. However, we protect our website from loss, destruction, access, modification or dissemination of your data by unauthorized persons through technical and organisational measures. In particular, your personal data are transferred in encrypted form. We use the coding system SSL/TLS (Secure Sockets Layer/Transport Layer Security) for this purpose. Our security measures are continuously improved in line with technological development. If you are a data subject as defined in article 4 (1) of the GDPR, then you have the following rights regarding processing of your personal data according to the GDPR. Under the conditions of article 15 of the GDPR, you have the right to obtain confirmation as to whether or not personal data concerning you are being processed and to obtain access from the controller to the personal data stored about you and to obtain a copy of such information free of charge. Under the conditions of article 16 of the GDPR, you have the right to request the rectification of inaccurate personal data concerning you without undue delay. Taking into account the purposes of the processing, you also have the right to have incomplete personal data completed, including by means of providing a supplementary statement. Under the conditions of article 17 of the GDPR, you have the right to demand from us the erasure of personal data concerning you without undue delay, provided that one of the reasons stated in article 17 of the GDPR applies and the processing is not required. Under the conditions of article 18 of the GDPR, you have the right to demand restriction of processing where one of the conditions stated in article 18 of the GPDR applies. Under the conditions of article 20 of the GDPR, you have the right to receive the personal data concerning you, which you have provided to us, in a structured, commonly used and machine-readable format, and you have the right to transmit those data to another controller without hindrance from us provided that the other conditions of article 20 of the GDPR are fulfilled. Under the conditions of article 21 of the GDPR, you have the right to object at any time the processing of personal data concerning you. If the conditions for an effective objection are met, then we may no longer process your personal data. Regardless of any other administrative or judicial remedy, you have the right to lodge a complaint with a supervisory authority, in particular in the member state of your habitual residence, place of work or place of the alleged infringement, if you consider that the processing of personal data relating to you infringes the GDPR. The website is hosted by a third-party service provider in the EU. We make sure that the data are only processed in Germany. This is necessary to operate the website as well as for constituting, executing and carrying out the existing licence agreement and possible even without your consent. Your personal data will also be forwarded if we have the right or are obliged to forward data due to legal provisions and/or official or court order. In particular, this may refer to the provision of information for law enforcement, prevention of threats or enforcement of intellectual property rights. Where your data are forwarded to service providers to the extent required, such service providers will only have access to your personal data to the extent that this is necessary to perform their tasks. These service providers are obliged to treat your personal data according to the applicable data protection laws, including, but not limited to the GDPR. Other than described above, we, as a rule, do not transmit your data to third-parties without your consent. In particular, we do not forward personal data to a body in a third country or to an international organisation. As regards the storage period, we delete personal data as soon as their storage is no longer required to fulfil the initial purpose and there are no statutory retention periods. The statutory retention periods are basically the criterion for the final period of storage of personal data. After expiry of this period, the relevant data will be routinely deleted. If there are retention periods, the processing will be restricted by blocking the data. When you visit Internet sites that are referred to from our website, you may again be asked for details, such as name, address, email address, browser features etc. This data protection statement does not lay down the processing, forwarding or handling of personal data by third-parties. Third-party service providers may have diverging and their own rules on handling the collection, processing, and use of personal data. Therefore, we would like to recommend to reading up on how third-parties deal with personal data on their websites before entering personal data. We continuously further develop our website to offer you a service that is becoming better and better. We will continuously keep this data protection statement up-to-date and revise it accordingly whenever and where this becomes necessary. Of course we will inform you of any changes of this data protection statement in good time. We will do so by sending you an email to the email address you have provided to us. Where it is necessary that you give us further consent for handling your data other than this, we will of course obtain such consent from you before any changes in this regard become effective.